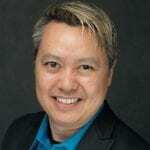 The surprising appearance of five vendors at the 2019 Patient Experience Conference (#PX2019) is an exciting development for healthcare and offers further proof of the momentum behind the wave of consumerism in healthcare. The annual conference, hosted by The Beryl Institute, has long been a bellwether for patient experience. By studying the sessions topics you can infer the types of patient challenges organizations are facing. From the titles of attendees, you can gauge the relative importance (or lack thereof) that organizations place on patient experience. Through the exhibit hall you can get a sense of how the experience market is expanding – both in size and breadth. Judging by the five unexpected exhibitors at PX2019, the patient experience market is expanding on both fronts. 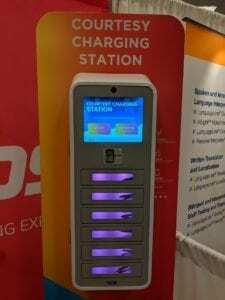 Go to any convention center or museum and you are bound to see kiosks where you can put your device in a secure locker while it charges. These kiosks are quick, convenient and a life-saver for those that don’t carry battery packs. Kwikboost manufactures these types of charging stations and according to company representatives, they have seen a significant uptick in orders from healthcare organizations over the past 12 months. This rapid growth led them to be an exhibitor at PX2019. It turns out placing charging stations in waiting areas and in-patient rooms are a big hit, not just with patients, but with their families and visitors as well. The company has received numerous positive comments where their stations have been installed. One interesting feature is the interactive screen at the top of their station. Organizations are free to customize the videos that are played – which can be advertising or educational material. If you have been to a restroom at an airport recently, you have likely seen a device by the entrance that asks you to press the emoji that reflects your opinion on the cleanliness of the facilities. The feedback is relayed in real-time to facilities management and when a threshold of angry-red faces are received, it’s a trigger to dispatch a cleaning crew. SmilyAnswers manufactures these “Smiley Terminals” and has deployed them for companies such as BMW, McDonald’s, Domino’s Pizza and RiteAid. Like Kwikboost, they have experienced growing interest from healthcare organizations. Gathering patient feedback is an obvious use for these terminals, but there are also calls to use them to help gauge the mood of staff members. 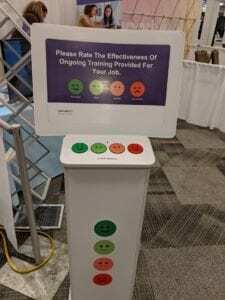 It’s not hard to imagine one of these feedback kiosks at each nursing station or departmental office. The data collected could help reduce stress levels and combat burnout. The team at Cast & Hue helps healthcare organizations improve the patient experience by mapping their patients’ journey in both the current and desired states. Using these detailed maps, the team at Cast & Hue collaborate with organizational leaders to develop strategies, tactics and measurements of success to bridge the gaps. Because multiple stakeholders are needed to build these journey maps, these projects are not approached lightly be healthcare organizations. The fact that Cast & Hue is a returning exhibitor at The Beryl Institute’s conference, is evidence that organizations are taking patient experience seriously. Managing Director, Steve Koch, is particularly encouraged by how welcoming his clients have been to this consumer-centric journey mapping approach and how the resulting strategic roadmaps have been used to provide more consumer-friendly experiences. One of the most surprising exhibitors at PX2019 was Ipsos. Yes, THAT Ipsos – the market research company whose polling results are quoted by news outlets around the country. The company has been in business since 1975 and is a titan in the world of consumer feedback. They are now applying their experience, skill and expansive consumer knowledge to healthcare. According to company representatives, hospitals are starting to look beyond standard CAHPS surveys to real-time methods of gathering patient feedback. Ipsos is currently collaborating with healthcare clients to develop custom surveys and teach them advanced analytics techniques to draw out sentiment information which can be used to improve service. Qualtrics offers an easy-to-use platform that gather and analyze feedback from customers as well as employees. The company has clients in the retail, financial services, travel, hospitality as well as media industries. They are now putting a concerted effort in healthcare – an industry where they anticipate significant growth in the coming years. Unlike other survey platforms, Qualtrics offers healthcare users the ability to create real-time surveys without the need for expensive consulting or IT services. Everything is self-serve. The company is nibbling at the edges of the space occupied by Press Ganey, the 300lb gorilla when it comes to patient feedback. That all five of these companies were exhibitors at PX2019, is proof of the growing desire of healthcare organizations to provide consumer-like experiences to patients. It is encouraging to see so many companies who have honed their skills in other industries like fashion, retail, hospitality and manufacturing entering the healthcare market. We can use this infusion of outside thinking on consumer experiences to accelerate the improvement in healthcare.